Community organization and selfless dedication are the traits of the honeybee. The Calgary Hive Mentality Project aims to provide this perspective by hosting educators from across North America to address the importance of bees as a conduit for community development. 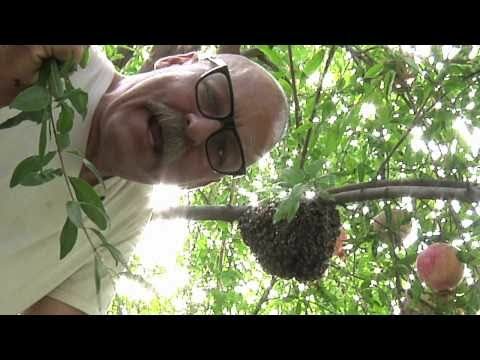 The speaker series began on March 16 with Kirk Anderson, one of the founders of North America’s largest urban beekeepers’ association, and Los Angeles’s most wanted swarm catcher. “When I first got into bees there was a big back-to-the-land movement in the late ’60s, early ’70s, but I couldn’t afford to go back to the land because I had a bunch of kids to raise,” said Anderson. So instead, Anderson bought some mail-order bees and put them in his mother’s backyard, pioneering a trend that would evolve into a full-blown food security movement now at the height of popularity in l.a.
“People want to be connected to that, especially the young generation,” he said. 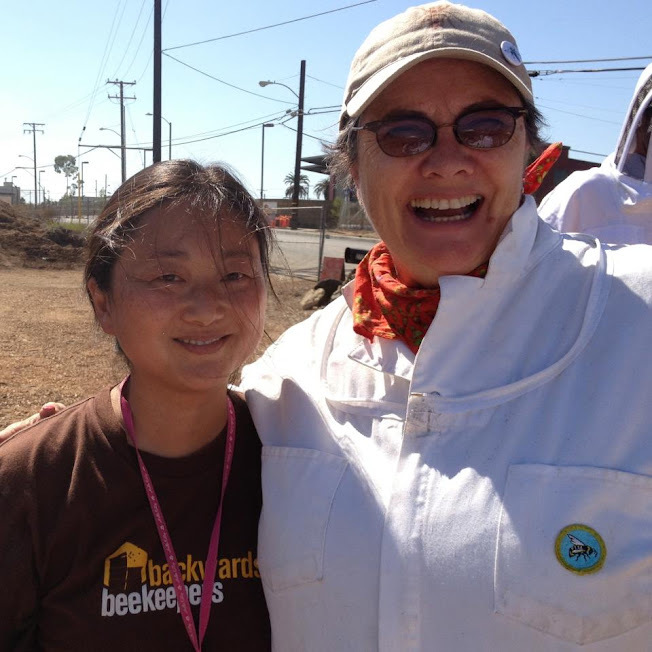 Anderson is founder and guru of the Backwards Beekeepers’ association, a group of 800 organic, treatment-free beekeepers who focus on encouraging the native feral bee populations inhabiting southern California. Beekeeping in l.a. is illegal. However, Anderson maintains 20 hives. Honeybees are incredibly important to pollinating a number of fruits and vegetables, but in the last 50 years, their numbers have been dwindling rapidly. Scientific researchers think the varroa destructor mite is responsible for this decline, and the mite is a topic of contention in the beekeeping community. “[Some people] get the idea that the whole bee population will succumb unless you and a bunch of the other beekeepers become emergency medical technicians for insects,” said Anderson. “So they’ve been treating this mite with all these chemicals, and guess what kind of mite they have left? The strongest, most resistant, toughest, meanest, no good, sob mites that have ever come down the line,” he said. Anderson was confident in nature’s ability to select for the strong rather than relying on human intervention to give a bad track record for managing nature. According to Anderson, it is the wild bees, who are as diverse as the cultures represented in l.a., that makes bee populations resilient. He also argues that diversity in the environment is required to keep the bees healthy. Eliese Watson, organizer of the event and sole proprietor of Calgary’s Apiaries and Bees for Communities, also agrees that diversity is key to the survival of not only bees, but also humans. With a massively industrialized agricultural system affecting nature, hobbyists like Anderson and Watson are finding ways to change human participation in food production. Watson was featured on the Discovery Channel’s The Daily Planet in 2011 as she roamed across the city rescuing swarms of bees. For Watson, the national press has only added more momentum to her business and the urban beekeeping movement in Calgary.